SEOUL, Feb. 21 (Yonhap) -- With the United States and North Korea striving for a give-and-take compromise in their summit next week, a declaration of a formal end to the 1950-53 Korean War, or a peace statement, is surfacing as a possible concession from Washington. The North has long eyed such a political declaration, which is not legally binding, to end decades of enmity with the U.S., ensure its regime security and ultimately sign a peace treaty that some say could undercut the rationale for American troop presence on the peninsula. 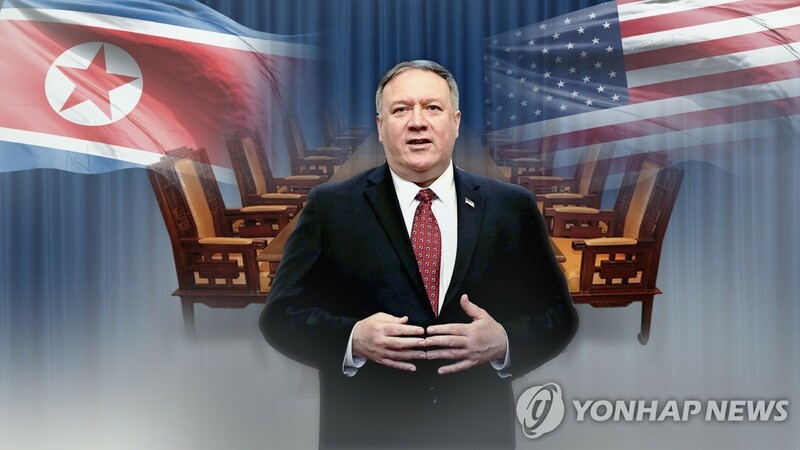 At his second summit with North Korean leader Kim Jong-un, slated for Feb. 27-28 in Hanoi, President Donald Trump is expected to discuss the possibility of ending the war that was ceased only with an armistice agreement, Secretary of State Mike Pompeo said last Thursday. "Remember we not only discussed denuclearization, but we talked about creating security mechanisms, peace mechanisms on the Korean Peninsula," Pompeo told Fox News. "I hope the two leaders have a chance to talk about that as well. I fully expect that they will." Last month, Stephen Biegun, U.S. special representative for North Korea, also hinted that Trump is open to the end-of-war declaration. "I am absolutely convinced, and more importantly, the president of the United States is convinced, that it's time to move past 70 years of war and hostility on the Korean Peninsula," he said during a speech at Stanford University. "There is no reason for this conflict to persist any longer." Washington had been reluctant to discuss the end-of-war declaration amid worries that Pyongyang might exploit it to demand the dissolution of the U.S.-led U.N. Command, a key enforcer of the armistice, and the withdrawal of the U.S. Forces Korea, which could lead to a weakening of the South Korea-U.S. alliance. But it has recently warmed to the idea of the declaration, as it has sought to break an impasse in working-level negotiations over Pyongyang's additional denuclearization steps in return for Washington's corresponding measures. South Korea has also been supportive of the declaration, as it sees it as the first step of what could be a long process toward a peace treaty. During their first summit at the truce village of Panmunjom in April last year, South Korean President Moon Jae-in and Kim agreed to pursue trilateral meetings involving the two Koreas and the U.S. or quadrilateral talks involving the two Koreas, the U.S. and China to make the declaration by the end of 2018, and pursue a "permanent and solid peace regime." But the declaration plan did not materialize amid a deadlock in nuclear negotiations between Washington and Pyongyang. In recent months, Pyongyang has been seen focusing more on securing sanctions relief than its demand for the end-of-war declaration amid the U.S.' insistence that the North first take concrete, verifiable disarmament steps before any lifting of sanctions. "The North obviously wants the declaration, but what it wants more is sanctions relief," Park Won-gon, a professor of international politics, told Yonhap News Agency. "So, the North seems to be paying less attention to the declaration issue so as to avoid muddling their focus on sanctions relief." In his New Year's Day address, the North Korean leader expressed his desire to push for multilateral consultations over the issue of turning the current armistice regime into a peace regime -- rather than for the war-ending declaration. Still, speculation persists that at their Hanoi summit, Trump and Kim may issue a statement akin to an end-or-war declaration that may highlight their resolve to end their countries' hostility, or agree on a timetable for the declaration and the start of negotiations on a peace treaty. Some speculate that the two sides could make a non-aggression arrangement to help spur Pyongyang's denuclearization process. Keen on scoring a foreign policy coup, Trump may be eager to yield fruitful results in his forthcoming showdown with Kim -- and thus willing to give ground on less challenging fronts, such as the political end-of-war declaration, analysts said, noting a series of his internal and external quandaries, including a probe into Russia's alleged link to his 2016 election campaign.